Colorful Crochet for me and you! 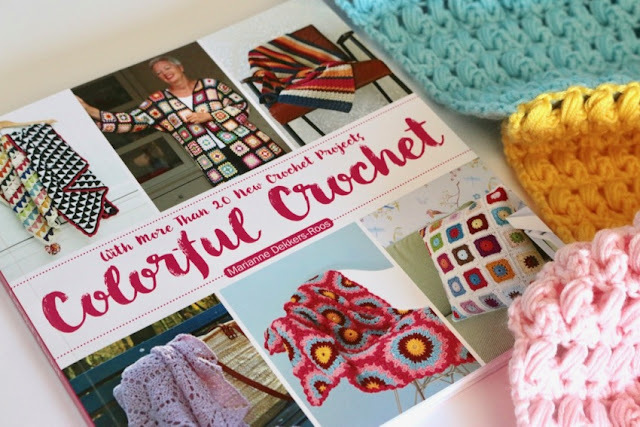 It's my complete pleasure to be to playing hostess today as part of the blog hop to celebrate the launch of this wonderful new crochet book by the talented Marianne Dekker-Roos. You may know her as marretjeroos on Instagram or from her blog, MaR Rose. Yesterday the hop was with Studio 92 Designs and tomorrow it'll be hopping along to visit Little Things Blogged but for today, you're all mine! It was such a pleasure to receive this little parcel through the post, a real pop of colour on what was a fairly miserable and grey day to that point. Any of you familiar with Marianne's work will know that a quick flick through those pages soon turned my grey day into the wonderful array of colours. 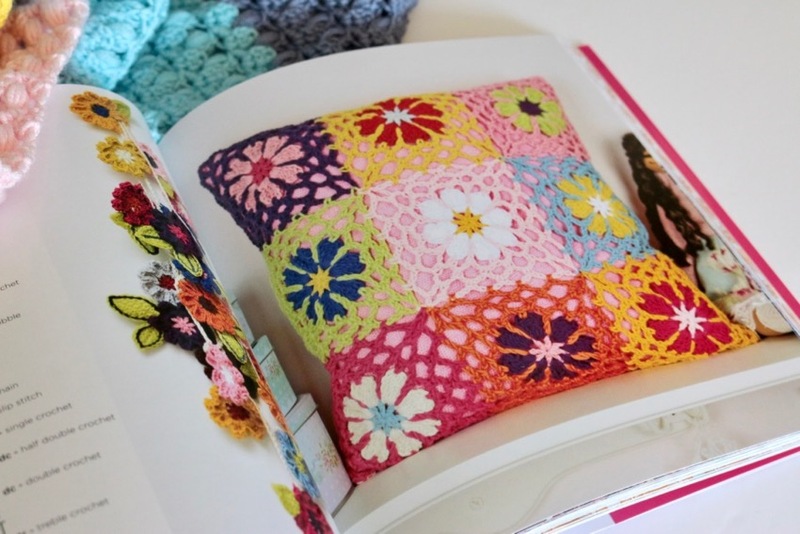 Marianne is great at combining bright and happy shades into her work and this book is packed full of projects to show off that skill and inspire you to do the same. I was smiling while I turned the pages, so happy to see so many signatures pieces that are the hallmark of Marianne's style. Marianne herself appears in the photography too, so there is such a personalised feel to the book, it has her touch through out which makes it very special. I particularly like that there are also different versions of projects. Variations on a design or motif to show it used in a different way. You can then choose which idea appeals to you most but I think it's also a good way to inspire and encourage new ideas too. I was particularly drawn to a scarf pattern, called Wendi. (A lot of the pattern names in the book are inspired by women that Marianne worked with during it's creation and used in tribute to them which is a lovely idea.) I love the texture and squishy look of this scarf and I couldn't resist giving it a try. I did rather rashly sign up to one of the earlier blog hop days without quite thinking through the time that would leave me to make my chosen project though, so my offering today isn't quite finished yet. I hope you'll forgive me. Not that it hasn't been a speedy project, I have been fairly whipping through it since I began last week. I'm using some balls of Merino Soft that I had left over from the Vintage Sweethearts blanket and I've been motoring through a whole ball every night very easily. In fact, I fear that I won't have enough to make a scarf long enough now that I see how I'm racing through the yarn. 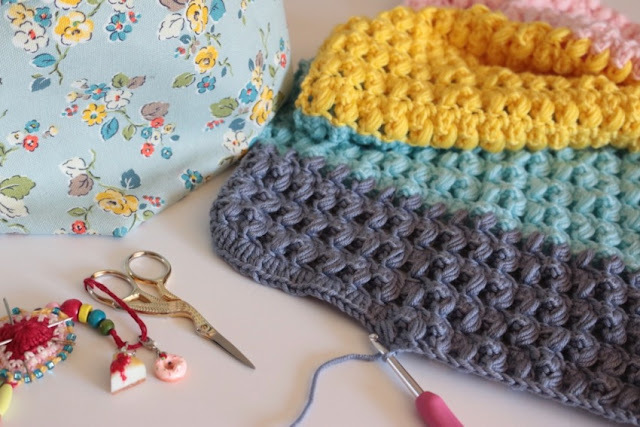 I do love the pattern though, it's just the perfect thing to be working on at the moment, a nice easy repeat and this yarn is so soft and smooth to work with, a most happy project in every respect! But I can't possibly keep all this fun to myself now can I? Marianne and her publishers have very kindly sent me an extra copy of the book, so I have one that I can giveaway to you, my lovely readers! Now this giveaway will only be open to UK readers on this occasion, I'm so sorry to have to limit it in this way, but books are quite heavy and the postage costs are not small. I do hope you understand. On the plus side, I do know that this blog hop is a very international affair and so I'm sure there will be plenty of other giveaway opportunities in the coming days. 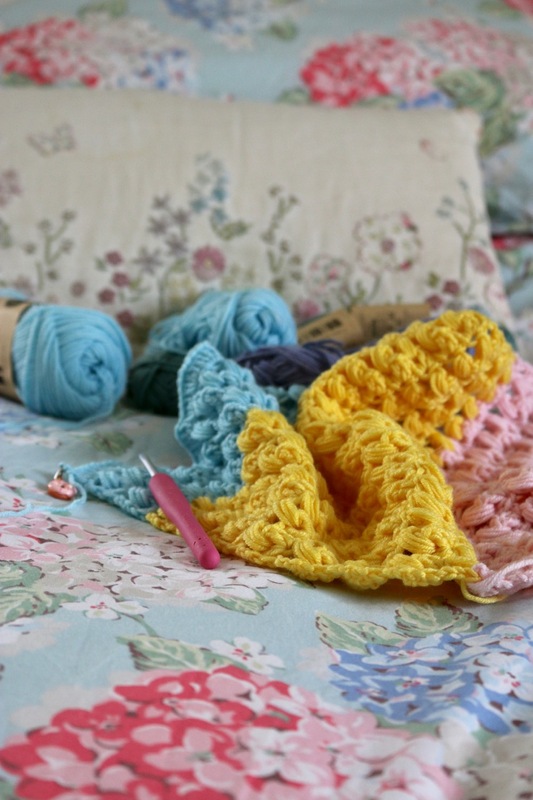 Win a copy of Marianne's book, Colorful Crochet! and tell me your favourite colour! I love green in any shade!! This book sounds wonderful - hope I am lucky. Ooh that book looks divine, my favourite colour is purple. My favourite colour changes with the seasons, but at the moment, it's orange :-) It looks like a lovely book! The book looks fab. Pink is my favourite colour. Thank you. My favourite colour is orange, it always has been, such a bright, funny, happy one. Don't know if my bloglovin comment registered so again....teal is my favourite....wait, maybe dusky purple, nonono duck egg, hmmmm what about scarlet, yes, that's it, colour is definitely my favourite colour! Who can choose?! 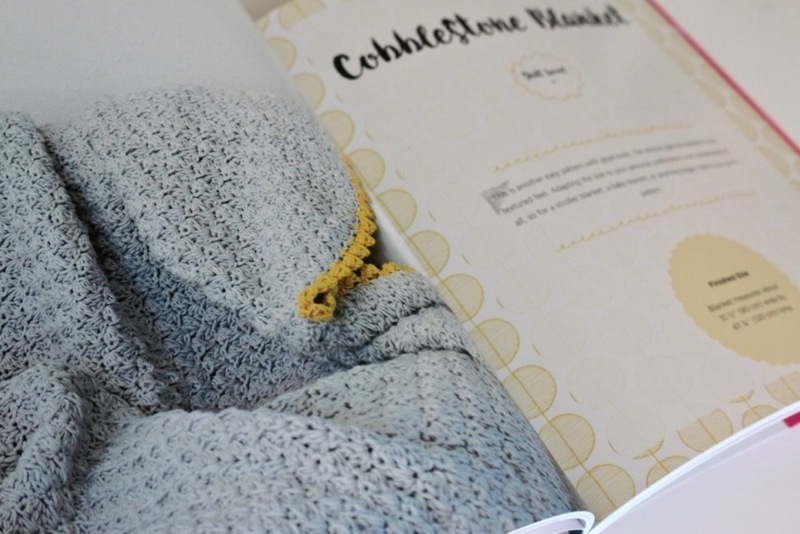 I'd love a new crochet book with lots of new inspirational ideas! My favourite colour is pinky/purple, you know the sort of colour that looks pink with pink and purple with purple, if that makes sense. Beautiful book and lovely scarf! It's really difficult to pick just one favourite colour but I would probably have to say blue! Lovely book! My favourite colour is blue. A nice thing to do on a not very nice day here in UK. Thank you Sandra. I hope to be able to see a book by you in print one of these fine days. My favourite colour at this moment is the same colour of blue as the Himalayan Mountain Poppy (Mecanopsis) that I caught sight of on the Chelsea Flower Show prog last night. My favourite colour is purple. What a lovely book! I love lavender and old rose I would love to have a copy of the book to give me inspiration when needed. The book looks great, and I love the look of your scarf so far. My favourite colour is blue, in all its many shades! I always answer Bright to that question, any bright colour will do, bright green, or bright red, or bright blue, even bright yellow is fab! I adore things that zing! 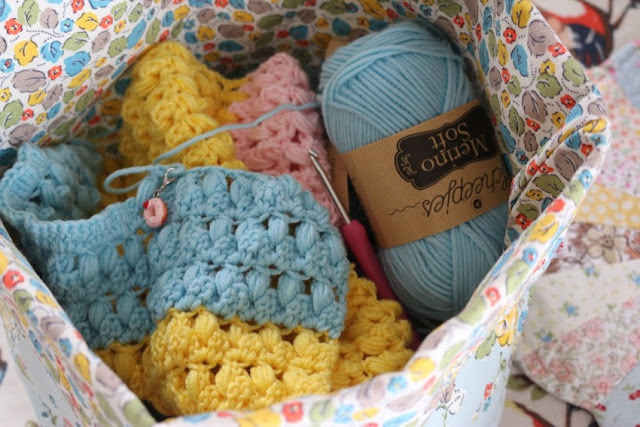 if I am making for me I tend towards Turquoise which I like but I love any bright colour! the book looks amazing and I will be hunting it down for the library anyway! Thank you for sharing. I love yellow, although I am not sure that it loves me back! Ah well that's what crochet blankets are for. Ooh I would love to try my hand at some of the projects in this book and I think a good vintage pink is my colour of choice at the moment. I really love pinks, my happy colour! Favourite colour? Let me see ... Pink, pink or PINK !!! Wow! That looks a fabulously fun and colourful book! My favourite colours are blues, jades, duck egg blue ... all those sorts of shades! What a great book. Your scarf looks so squishy, I haven't used that yarn before but I'll be looking out for it now. My favourite colour is red. Oooh that book looks do beautiful. Is it not possible to ask international subscribers whether they would be prepared to pay postage should they win? The choice is then theirs and I am sure that many would be more than pleased to do so. From an equally pale pink and pale aqua crazy South African. This book seems to be fantastic! I would love to win it. My favourite colour is red. Would love the book, I'm crochet crazy, ask my other half! My favorite color depends on what it's for. 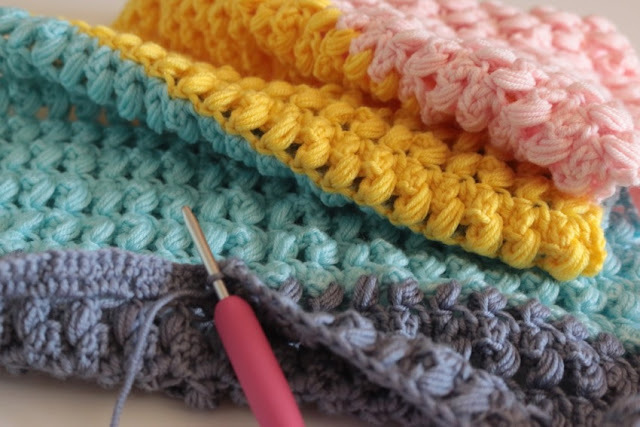 Any shade of denim for wear, grey and a pop of color for decorating and happy floral shades for making! niw I'm old I'm wearing it. 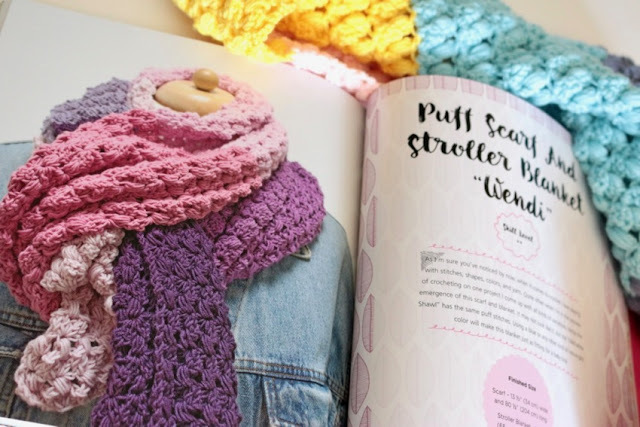 The book looks lovely as does your beautiful, bright scarf. It's so hard to pick just one colour, but my favourite is pink. This book looks amazing! I love blue, almost every hue, from cyan to midnight blue. Thank you so very much for this giveaway I'm so excited. My favorite color is PINK. The lighter, the better ;) The book looks amazing!! I love many colors - aqua, mint green and red. I would love this book. Oh what a fabulous book, I love it. It has to be all the pinks and mauve's they are just gorgeous. The book looks full of fab ideas and colour. I love any shade of blue! My favourite colour has always been purple. When I was in school my 'friends' told me that 'nobody likes purple, it is so uncool!' So I kept it secret. Now I am grown up I don't care what other people think about my choice, but everything is now available in purple! I think my friends lied to me! Haha! Anyway, what other colour is there?? Hi dear. I saw this make on IG and wondered what it was... now I know. It looks very lush. Almost soft as a cotton ball. Puff! Looks like a book full of diverse project. I have to take my chance to win a copy... My favorite color is blue! Anything and everything blue! Of course RED!!! It works for all of the seasons and has a great variety of shades. Thanks for the chance to win. The book looks awesome! My favorite color is pink! I love purple in its many variations. What a gorgeous array of patterns. My favourite colour is always blue of some description. Sometimes navy, sometimes sky blue, sometimes a dusky lavender. Ah colour is such a tonic for the soul - do love a riot of colour but if I'm pushed would say Mustard/ Saffron ( my daughters name ). What a great prize! Ooooh, how to choose? Blue methinks today, yesterday was pink, tomorrow to be decided! Green. Particularly the fresh green of new leaves in spring.